With the recent death of one of my heroes, George Carlin, I am thinking about words. George Carlin was a master of the English language. Check out his performances on Youtube to hear his flawless delivery. He was most famous for his piece on the 7 words you can't say on television. He recited these words like poetry, like a song. He made them approachable, friendly. He helped us to understand that the only power they hold is the power we invest in them from our own feelings about the human body and it's functions. I remember my mom's technique with “bad” words. She would arrive at the word she herself had obviously chosen and either whisper or spell it. How odd! Her manner gave the word such mystical power! We all knew what she was saying, what exactly did the whispering or spelling do? a rather clumsy, do-it-yourself homeowner, so they heard a few obscenities and blasphemies from my very own mouth. I don't advocate the use of these words by or in the hearing of children who are too young to have a good command of the English language. Both of my children understood that the use of such words in public places and outside of one's peer group must be weighed carefully. They never used the words in front of their paternal grandparents; a minister and his wife. My children are both articulate, intelligent people with large vocabularies. They also understood that those 7 or so words, which seem to have such power over so many people, are no more or less powerful than any other word. And that giving them power is indulging in a kind of Victorian bowdlerism that makes hypocrites and cowards of us all. So thank you, Mr Carlin, for your authenticity and wit. Thank you for always urging us to take a fresh look at our words and our world. And the next time I stub my toe, or hammer my thumb instead of the intended nail, after everything else I say, I'll thank you once again. While sitting around a campfire this weekend, I was reminded of all the wonderful things that I used to look forward to during the summer months when I was a child. I knew summer had arrived when my sisters and I ran around outside with no shoes on from dawn until dusk. And on those hot summer days we would get giddy just hearing the sound of the ice cream man’s bell far in the distance. We would wait on the curb, with our dollars in hand, for what seemed like hours. Eventually, we would be rewarded with an Italian Ice or a Nutty Buddy. My family also spent a lot of time at the beach. We would leave early in the morning in order to stop at Allies Donuts along the way for what was the best and biggest donut I had ever tasted. On the Fourth of July we would stay well after dark and light a campfire. We would toast marshmallows and make S’mores. Nothing beats the taste of a crispy marshmallow with a warm, mushy center smooshed between chocolate and graham crackers. I get chills just thinking about it! When I think back to all the beach houses we rented and the campgrounds where we slept in tents, I always find it is the little things I remember. Like Kool-Aid mustaches, burying my feet in the warm beach sand, and trying to catch lightning bugs in jars. Now that my babies are growing up (the boys are four and my daughter is nearly two! ), I look forward to sharing these little things with them all summer long. I can’t wait to see the smiles on their Kool-Aid stained faces. I am concerned that my child’s “little white lies” are becoming a problem. Does anyone have suggestions for “curing” my nine year old of this horrible habit? My mother used to tell me when I was a child, “If you’ve done something wrong and tell the truth about it, I will be easier on you than if you lie about it when I ask you about it”. I convey this message to my kid and she stands firm that she is telling the truth. It infuriates me to think that she is not telling the truth and yet part of me always doubts her even when she seems to be truthful. We are not talking about a kid who is constantly naughty or spoiled rotten. This kid has rules and boundaries that I am consistent with and I follow through on the punishments I give. This issue is just a small one now but I worry if I don’t nip it in the bud, I will be threatening my 22 year old that her nose will grow if she tells a lie. Any pearls of wisdom or unique tricks to solve my dilemma? Kids lie, yes they do. And so did we. I'm not an expert on the stages of growth but it seems to me that we all had that “Aha!” moment when we realized that we could withhold the truth or lie to our parents. What power! Perhaps all we can do is model honesty and authenticity with our kids. So, we don't get to lie in front of them, saying, “ I'd love to come!” to an unwanted invitation and then making up an excuse later on. Kids can sense a line of “malarky” from a mile away, so we can't say, “No, your Uncle Theodore does not smell!” when both you and your 6 year old have had to share a long car ride with said hygiene-challenged uncle. It isn't always easy. At some point, some friend is going to lie to your daughter. If you are lucky, she'll come to you and then you both can talk about how lying hurts. Or, the next time you know she's lied, wait a couple of hours and then tell her that you made her favorite dessert. When she's eaten her dinner, and looking forward to her big, delicious piece of chocolate cake tell her, “Sorry, I lied!” That should get a dialogue started, while the two of you make the chocolate cake together. For a very brief period, when my younger son, Emmett, was about 5, he told a few lies. When I caught him in one, we talked about how important it is to build trust, and how easy it is to lose that trust. When I asked him if he had told other lies, he remembered 3 or 4 times. To this day, if we have a conversation about honesty, he remembers those incidents. Do kids waste time any more? Perhaps it's impossible now. With both parents needing to work, with the lack of unscheduled time and the pressure to succeed, maybe there's no space for children to “waste” their summer. I urge parents; don't over-schedule summer. Even in our performance driven society, surely, one sports team membership, one “enriching” activity is enough. Don't be afraid of your children sometimes doing “nothing”. And by nothing, I don't mean watching TV or playing video games. I mean breathing, looking, listening, dreaming. Childhood and summer is so short, make sure they get to “waste” at least a little of it. I admit it. There are 4 days left of school and I am beginning to experience the annual “Oh my God, what am I going to do with the kids all summer?” blues. Every year since they started school I have faced the summer with a sense of low level concern that I am going to be certifiable by August. Here’s the thing, though. After a few years of this, I am finding ways to keep sane and even have a great time. Here are my sanity savers for the coming summer months. What are yours? Feel free to comment! I am not a beach person. I am a redhead. Redheads cower from the sun like vampires. But I have learned to overcome my phobia of old Sol by being well prepared. At the beginning of the summer I pack a big tote bag with essential beach items. SPF 6000 for me. Kids sunblock for the boys (who luckily have darker complexions.) An old tablecloth that doubles as a blanket. A couple of mismatched old towels from the back of the linen closet. With the bag I carry a beach chair and an umbrella. These things live in the back of the minivan all summer so that when we get the hankering to go off to the beach, we just jump into our suits and go. This could just as easily work if you joined a pool or have a lake or pond in the area. Throw in a gripping novel and you have a day in paradise. This is huge on my list of sanity savers for summer. For a long time I was a member of a church that basically shut down in the summer. Sunday school was canceled until September. There were no summer activities for the kids. My new church, on the other hand, has started offering all kinds of things for adults and kids all summer long. For example, our high school and college kids are going to run a Sunday school ‘camp’ so that parents can continue to participate in the adult religious education programs before the services. This happened because parents talked to the priests and asked for things for the kids. Summer is the time we need it the most! If you don’t have a religious community, check out things like the YMCA, Boys and Girls Clubs or any other kind of program available for kids and adults. I am a person who needs some kind of schedule or I go crazy. If left to my own devices, I wouldn’t be ready to leave the house until noon. During the school year, this isn’t a problem because I have a reason to get up and out every day. (School, church, etc.) But in the summer, I can find myself in my jammies at 10:43 am and wondering where half the day has gone. So this year, I am going to create a schedule for myself that requires me to be up and ready to face the day by 8:00 every morning. Yes, I am going to hire a baby sitter once or twice a week so I can have some time to myself. Maybe I’ll go to the gym. Maybe I’ll do the grocery shopping. Alone. Maybe I will take a nap, take a drumming class, take a walk. Whatever it is, it is worth the $7 or $8 bucks for an hour to myself. And speaking of grocery shopping: In my area there are stores that deliver now. So for that same $7 or $8 you can order your groceries online and the next day they show up on a truck. How cool is that?! Summer is here. Let’s have some fun! Tell us in the comments what you do to stay sane. Use small cups of plain water and some paint brushes and let kids “paint” on fences, driveways, or sidewalks. The water will dry quickly enough so that they will always have a fresh canvas on which to paint. Fill beach pails with sand box sand and add water. Your kids will spend hours making mud pies. When they are finished, dump out the mud on a patio or driveway. When it dries, sweep it up and put it back in the sandbox. Fill empty plastic soda bottles with a little water. Arrange them like bowling pins and have an outdoor bowling game. Use sidewalk chalk to draw roadways on a patio or driveway. Be sure to draw in an area for a “car wash”. Children can take turns washing their tricycles and bikes. Set up obstacle courses in your back yard. Include a tunnel to climb through, a hoola hoop, a jump rope, bouncy balls, and a ring toss. 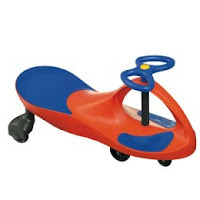 Kids can take turns rearranging the course or making up new uses for the equipment. If you’re looking for some new toys to add some fun to your summer, here are my favorite picks. They are my absolute favorites and my kids love them too! Stomp® on the Launch Pad and a blast of air propels the Stomp Rocket® over 100 feet in the air! The kit comes with 4 foam rockets. The Junior is designed for ages 3 and up. Five bubble ports are the secret to making oodles of bubbles with one easy blow. 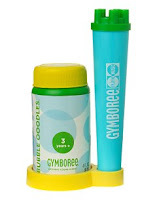 Set includes one easy-grip wand, a non-spill tray and four ounces of Bubble Oodles formula. Through play, children develop the self-esteem, coordination and social skills necessary to grow. Use Bubble Oodles to develop your child's fine motor skills and cause and effect cognitive skills.